Dominating your companies niche online market with top search engine rankings is more than just SEO. Social Media Marketing focuses on the power of brand building and marketing. Social Media Marketing is necessary for effective brand awareness; however, not everyone is successful in their efforts. Start focusing on your increased traffic and revenues and let us handle your company’s Social Media Marketing (SMM) with one of our standard SMM packages or have our social marketing strategists map out a custom program for your brand. FaceBook, MySpace, Twitter, Youtube, and Digg are just some of the online social scenes to be at. Superior Internet Marketing’s team will take your brand to the next level. We will create, design, brand and promote your social media profiles. Moreover, we will take advantage of the ever growing blogging community of blogging portals like wordpress, blogger, blogsome etc. Superior Internet Marketing will help your business with developing a catered-to-your-needs strategic marketing campaign that leverages social media solutions on platforms such as those mentioned above to achieve your marketing goals. Our services include consulting, training, tech set-up and social profile management. 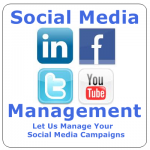 A selection of our social media management packages are listed below. But of course we will gladly build a customised solution should it be required for your particular situation. Here you’ll get all the technical work of setting up the profiles and pages you need to successfully use social media. We set up your social media presence on your behalf and link them to your existing blog or website. The Elite Monthly Maintenance package offers all the services in the Basic Monthly Maintenance package. This is an entry-level full service package where we assist you with content creation & distribution, audience building & reputation management on 3+ networks. This monthly social media management package also includes strategic consulting, reputation monitoring plus even more communication with those who matter most — your fans and followers. Do you have a large following already? The Premier Monthly Maintenance Package is a custom package created just for you and your business. In this package we will work closely with your marketing team to develop & manage your online presence across the social web. Features include: audience building, reputation management, content distribution, customer service, blog management, training & more. 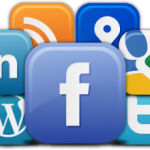 Your choice of four social media platforms and a company blog.